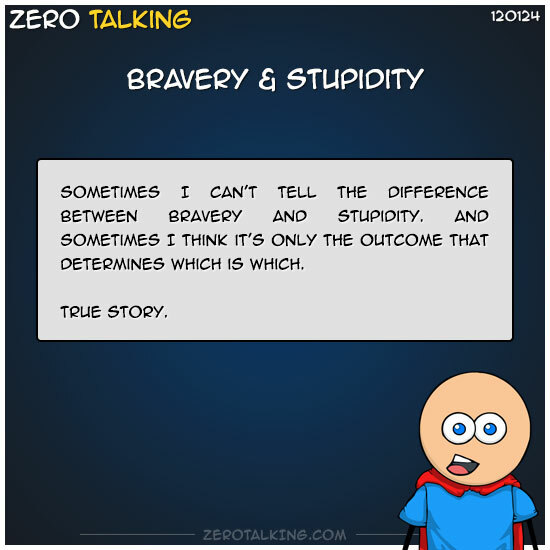 Sometimes I can’t tell the difference between bravery and stupidity. And sometimes I think it’s only the outcome that determines which is which. True story.